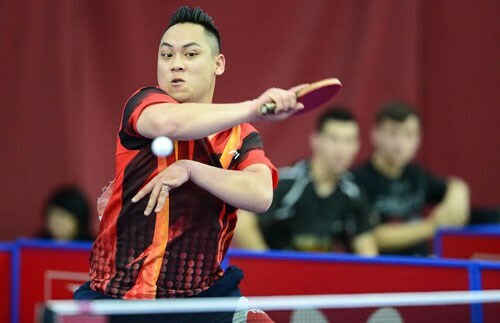 Hanoi (VNA) - Le Tien Dat played a key role in Vietnam's 3-1 win over Turkey at the World Team Table Tennis Championships in Malaysia on March 1. It was the second win of the Vietnamese men's squad. Dat defeated G Ibrahim 11-3, 9-11, 11-9, 11-13, 11-8 in the second singles match and beat M Gencay 11-7, 11-5, 11-3 in the fourth match. Earlier, Dinh Quang Linh struggled to win 12-10, 11-7, 7-11, 5-11, 11-6 over Gencay. And Doan Ba Tuan Anh lost 11-5, 11-8, 9-11, 4-11, 9-11 to Ibrahim. The Vietnamese players will next play Nigeria.